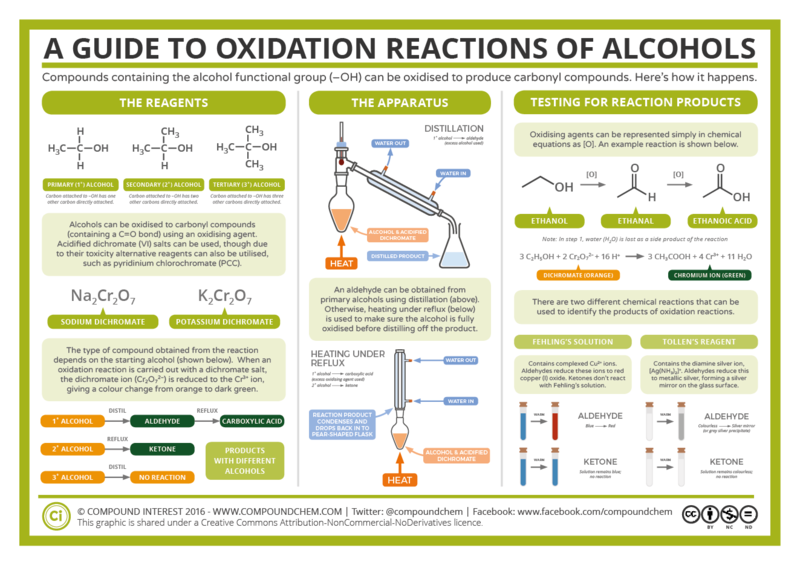 Today’s post is a quick one with a look at alcohol oxidation reactions. 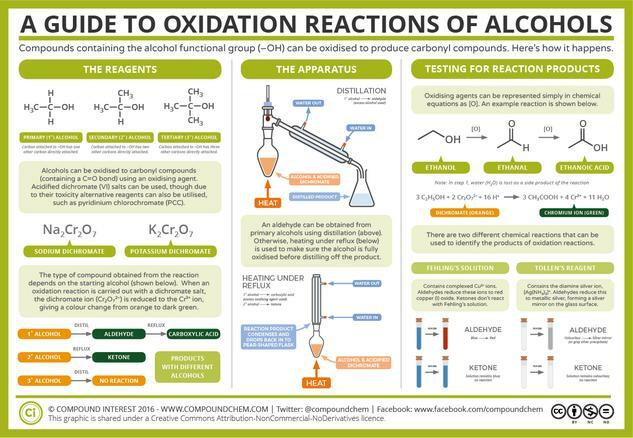 This graphic tries to provide a basic summary of the reagents used, equipment required, and ways of identifying the products formed. A prominence is given to sodium and potassium dichromate as oxidising agents, despite the fact that these are probably less commonly used than reagents such as pyridinium chlorochromate (PCC) and pyridinium dichromate.